Perrier-Jouët, is a Champagne house with a long history of supporting the arts. And, this year it has become the official Champagne partner for Sculpture by the Sea. 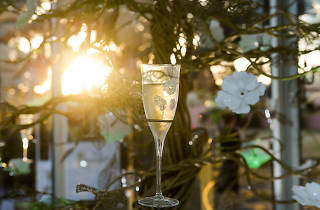 To mark the partnership, Perrier-Jouët have created two activations in this year’s exhibition. Firstly there’s ‘The Enchanting Tree’ in Marks Park, Bondi, an artwork by Dutch designer Tord Boonje with golden branches. 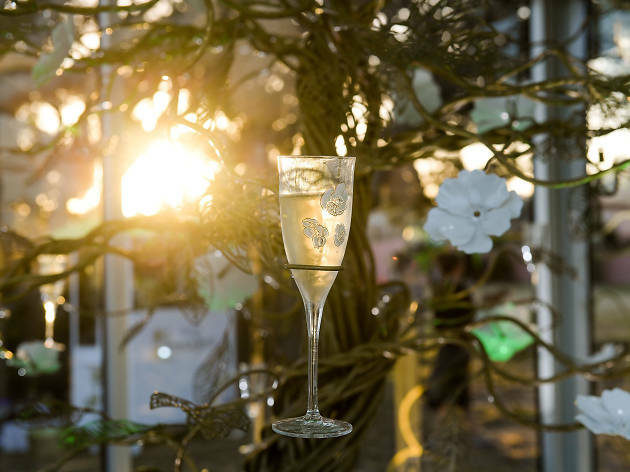 Secondly, there’s a pop-up Champagne bar, Le Jardin by #perrierjouet, at the Tamarama Beach Café, where visitors can enjoy flutes of Perrier-Jouët while admiring this year’s crop of Sculpture by the Sea artworks. The only thing we can think of to top that would be dinner for two and more bubbles at Icebergs Dining Room and Bar. That’s exactly what you can win if you take a great shot of ‘The Enchanting Tree’ and upload it to Instagram with the hashtags #perrierjouet and #sculpturebythesea before 11.59pm on Sunday November 6. Six runners-up will also score a bottle of Perrier-Jouët – not too shabby! To win this prize you have to be over 18 and you’re only allowed to enter once, so choose that image carefully. Winners notified by Instagram message. Check out the full terms and conditions.